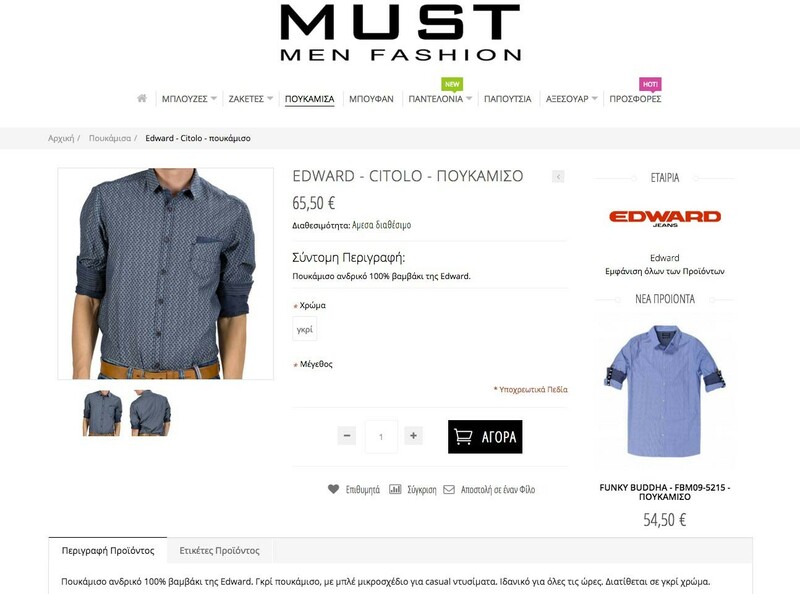 Must Men Fashion is based in Argostoli, Kefalonia and has been established in 2007. Having an upward trend over the past years, has managed to work with the most up-to-date greek and international brands in men’s fashion. 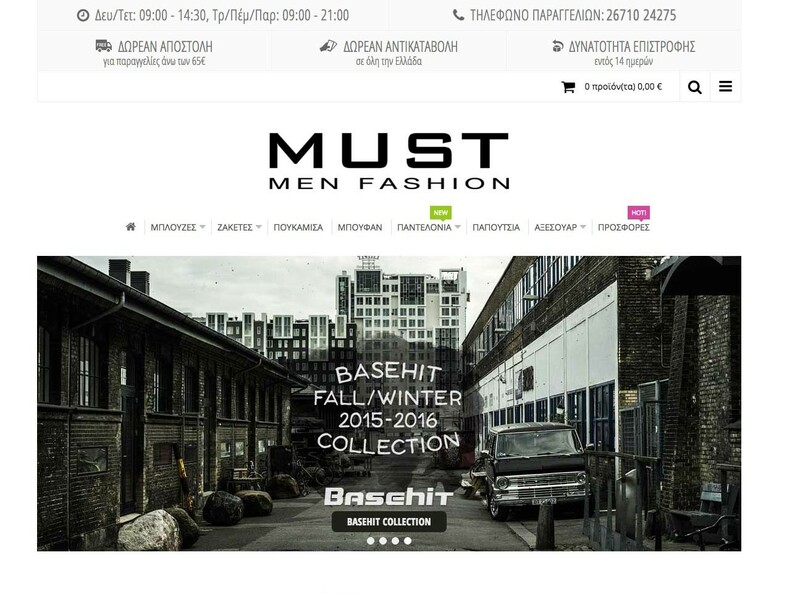 The Must Men Fashion eShop is directed at customers all over Greece who wish to shop online, choosing from a variety of quality men’s clothes and accessories, in attractive prices. 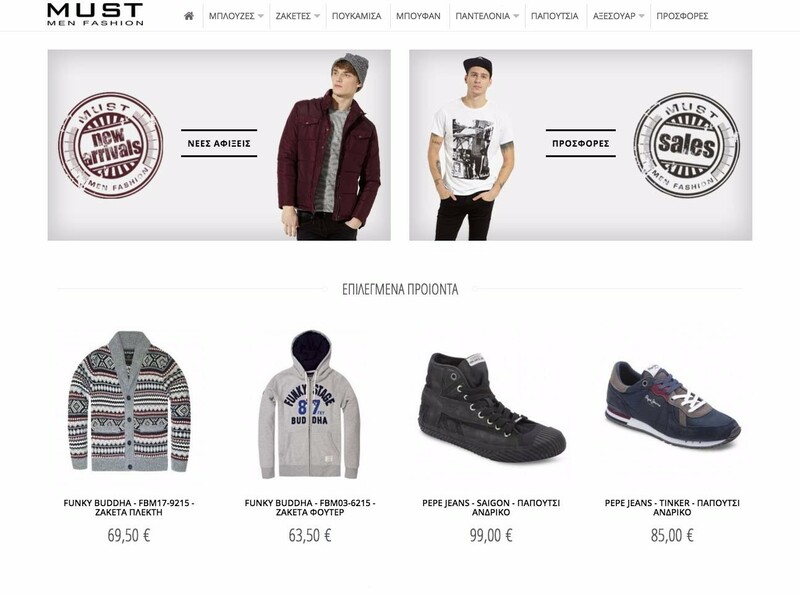 In the context of this project we had the opportunity to work on the creation of the eShop for Must Men Fashion clothes store. Our main concern was to create a fully functional and contemporary eShop which ensures customers optimal user experience and security in online transactions. To achieve this, we paid special attention to easy navigation, the provision of a variety payment methods, page speed and safety of transactions. For the implementation we used Magento, one of the best ecommerce platforms nowadays. Magento provides great flexibility, is fully customizable and scalable and covers all the needs of an online store.